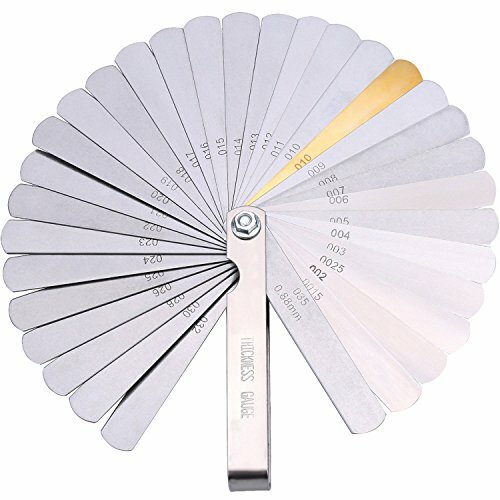 Our Profile Gauge Ideal for fitting tiles, laminate, carpet, checking dimensions, moulding, etc.Designed for winding pipes, circular frames, ducts and many objects.Allows you to duplicate a profile exactly for hobby woodworking, precise woodworking or tile flooring/linoleum installation where you want to replicate the shape of moldings, cut outs around door casings and pipes. Time Saver Allows you to duplicate a profile exactly for hobby woodworking,replicate the shape of moldings or match cut outs, providing you with accurate reads. 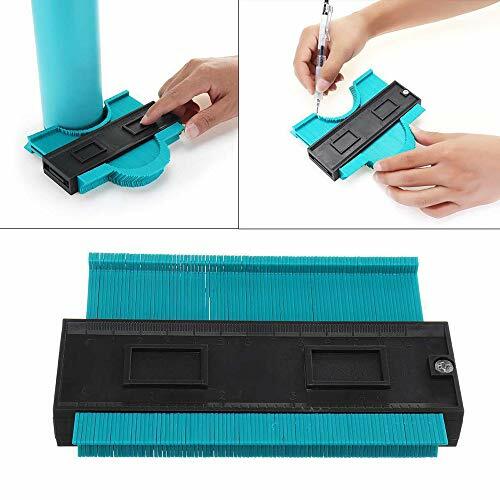 Multifunctional Perfect for any kind of object needs the contour duplication can be used to measure the shape of irregular items,pipes, round frame, conduits, instant template for marking precise tile cuts. Operation EASY TO OPERATE-Just simply press the teeth of contour gauge duplicator tool to the irregular objects to match the contour,and then copy the profile and cut to shape you need. 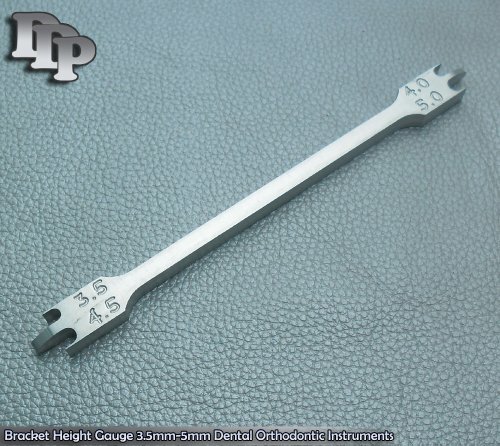 Size 4.75 Inch (120 mm) plastic contour copy duplicator circular frame profile gauge tool.Metric and imperial marked gauges. 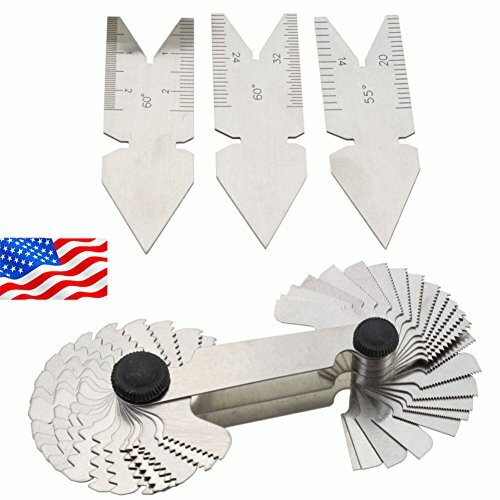 Customer Service If you are not 100% satisfaction with our products,please contact SELLER via email.It is our priority to provide you with the best Contour Gauge Duplicator Tool and services. Perfectly measures iron pipe, copper tubing and CPVC Piping. Bright red color with white lines shows up clearly in dark buildings. Ideal for plumbing, refrigeration, HVAC and pipe insulators. Measures to 16 iron pipe diameter. Easy to read conversion chart matching iron pipe, copper tube and CPVC pipe. These dividers combine rigidity, light weight and easy handling. The legs are forged steel, well-shaped, properly tempered and highly polished. The adjustable point may be quickly removed and a common pencil inserted in its place. No. 88 Ball points may be used with the no. 92 Series. The sturdy construction of the joint, combined with the quadrant, eliminates side deflection of the legs. A quadrant adjusting nut permits fine-adjustments for close measurements. A check nut located between the legs locks the legs firmly after the proper adjustment has been made. This feature prevents the legs from moving in and out with the grain on wood when scribing, or sliding off rough spots when scribing on metals. The Fowler Xtra-Value inside electronic caliper gage has an accuracy 0.01"/0.3mm/1/64ths with a 0.01"/0.1mm/1/64ths reading. The inside electronic caliper gage also has a reach of 4". 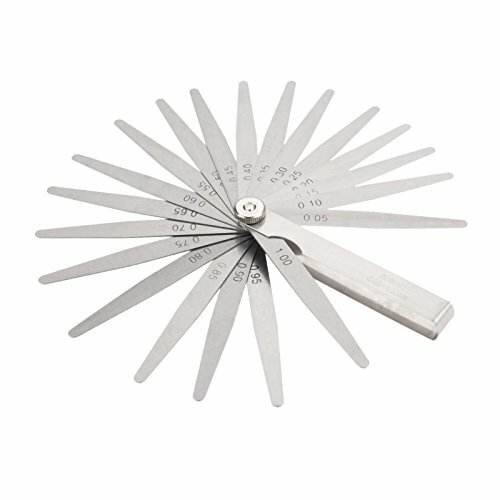 This caliper gage has on/off/set function and Hold function. It also has direct inch, metric and fraction conversion for versatility.. This caliper measures ID for hole diameters and groove and tube thicknesses. The digital, single-value readout LCD shows inches, in decimal or fractions, or metric for versatility when measuring. The hold feature freezes the display for later viewing. The unit also has a set feature for taking intermediate or differential measurements. The knurled lock nut holds the spring-loaded sliding jaw in position and helps ensure a consistent measurement. The caliper arms and hardware are constructed of stainless steel for durability. The 2/5cm diameter electronic housing is constructed of plastic. The caliper uses a 3V CR2032 battery (included) for approximately one year of use. An automatic shut-off feature turns the caliper off after four minutes to prolong battery life. The unit also comes with a plastic case and instructions. Fowler also offers a lifetime warranty against materials and workmanship. If you experience any problem contact Fowler directly for warranty claims. Digital calipers are measuring instruments commonly used for inspection in manufacturing to provide the precise measurements of an object. A pair of jaws attached to a long beam with a marked scale is used to take inside, outside, and step measurements. An additional depth probe slides along the beam to take depth measurements. One jaw is fixed to the end of the scale, while the other jaw slides along it with gearless precision to take measurements. The reading is electronically generated and displayed on a digital, high-resolution screen as a single value. Digital calipers can take differential measurements that are used to determine the difference in measurements between two objects, by zeroing the display at any point along the scale. Some digital calipers can switch between standard and metric units. Auto Body Now is a family owned company based out of South Dakota. We provide the Midwest with the highest quality auto body supplies and car care products on the market. We have an exceptionally strong Internet presence, sending out over 50,000 products each month. In fact, if you have purchased any of your auto body supplies or car care supplies online, there is a good chance we have had the opportunity to serve you. 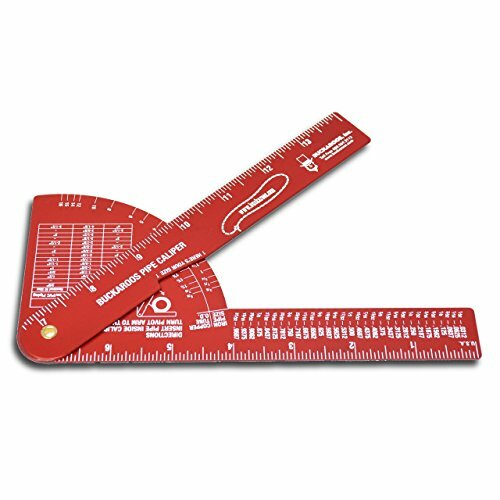 When you need to quickly and easily measure gap widths, use the DIAGTREE Universal SAE and Metric Master Feeler Gauge 32-Piece Blade Tool for Measuring Gap Width / Thickness. 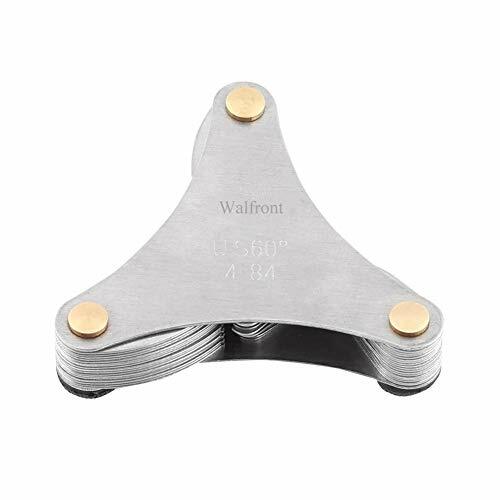 Sizes included are 0.04mm to 0.88mm and 0.0015" to .035"
SAE Standard: 0.0015", 0.002", 0.0025", 0.004", 0.005", 0.006", 0.007", 0.008", 0.009", 0.010", 0.011", 0.012", 0.013", 0.014", 0.0.15", 0.016", 0.017", 0.018", 0.019", 0.020", 0.021", 0.022", 0.023", 0.024", 0.025", 0.026", 0.028", 0.030", 0.035"
The measurement scale is made of plastic nd it endures. The scale is clear nd the measurement is ccurate. Resistant to high temperature nd pressure, durable to use. 135 high temperature nd high pressure disinfection, safe to use. 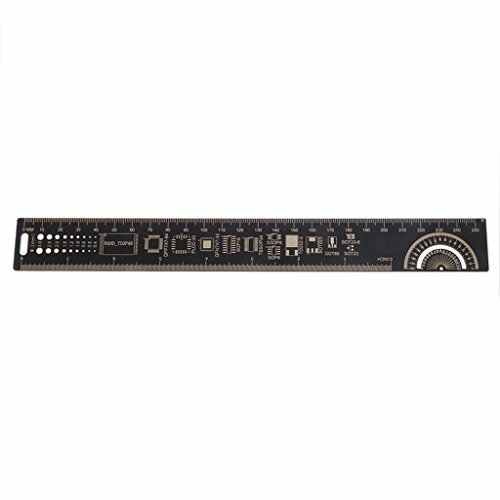 This versatile PCB ruler, also integrates relevant information for PCB design such as angle gauges, devices, IC pin spacing tables, and more. We printed this information on FR-4 gold-plated PCBs. 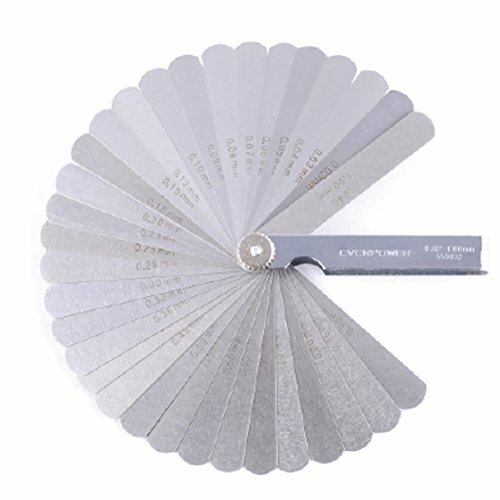 This gauge includes 20 blades, which are made of high quality carbon steel. Use for checking clearances on ignition points, valve, tappets, spark plug gaps, pistons, piston rings, brake bands etc. Blade size metric: 0.05, 0.1, 0.15, 0.2, 0.25, 0.3, 0.35, 0.4, 0.45, 0.5, 0.55, 0.6, 0.65, 0.7, 0.75, 0.8, 0.85, 0.9, 0.95, 1.0. 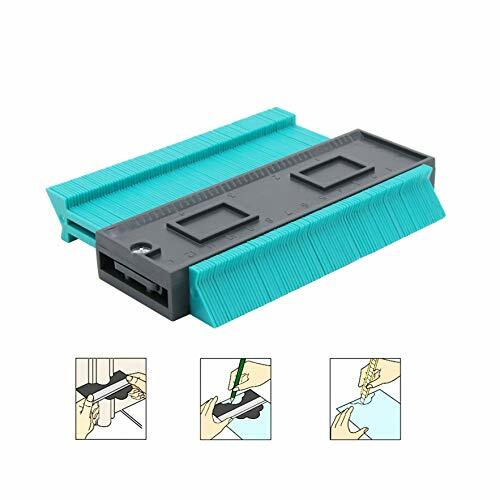 Durable Material: Made of high quality ABS plastic, high strength, durable for marking precise tile cutting. High Accuracy: High definition mark line, clear enough, easy and convenient to read. Multipurpose: Designed for winding pipes, circular frames, ducts and many objects. Easy to Use: Just press the tooth on the object to match the contour and then track the shape you need. Wide Application: Repetition of contours is required for any type of work. Work in woodworking, car body, stainless steel or any contour copy. -One combination thread gauge model. -Can be used for measuring the metric and inch screw thread. The blade can also be used to measure the AF thread per inch of thread. Then mark on the thread size model is the measured workpiece thread pitch. The thread pitch and the measured workpiece thread model on the same thread on top of the test, then check Talia contact, if there is no gap translucent, tooth-shaped angle measured thread is correct; if there is uneven light transmission gap phenomenon, it shows the measured thread tooth shape is not accurate. Item specifics Condition: New: A brand-new, unused, unopened, undamaged item in its original packaging (where packaging is applicable). Packaging should be the same as what is found in a retail store, unless the item is handmade or was packaged by the manufacturer in non-retail packaging, such as an unprinted box or plastic bag. See the seller's listing for full details. rubber,because the AWG is just about the metal part of wire. Pls do not use the round hole to measure wire also,pls look at picture we supply. Wire gauge is great tool to gauge non-ferrous wire and metal such as copper, brass, also gaging uncoated sheet, plate iron and steel. Measurement markings in both AWG and SAE. AWG:0-36 standard, inch scale: 0.3125 - 0.007. Used on non-ferrous metals and wires. 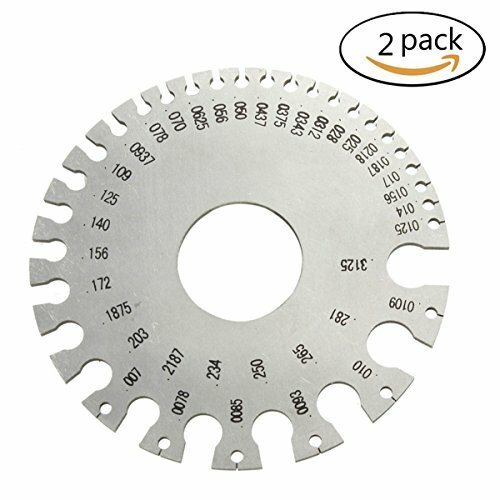 Package includes:2Pc x Stainless Steel Wire Gauge. Applied to measure thread and external thread tooth pitch. The thread plug gage, through quenching processing, strong hardness, head with a magnetic. Using rotary switch can be freely adjusted. Easy to use, light and delicate, with precise measurements and simple design, which can be widely used and durable. It is useful for checking tool angle while cutting threads in metal turning lathes. 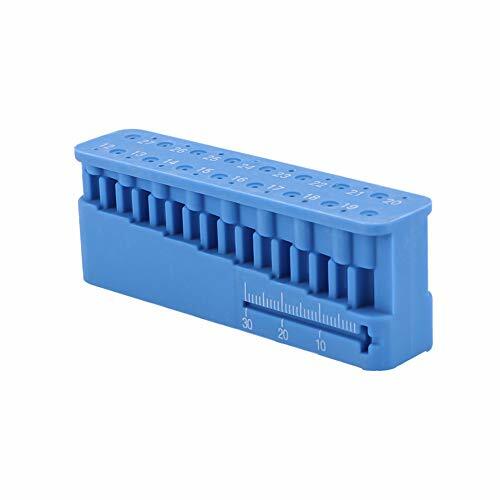 Type(Optional): US (51 pcs):60 * 60mm/2.36 * 2.36"
Metric+ imperial (52pc): 67 * 20mm/2.63 * 0.78"
Measuring rang: 0.25 - 6.00mm/0.0098" - 0.23"
Wide range of applications: Suitable for designers, engineers, mechanics to measure the thickness of the tappet gap, spark plug clearance, bearing clearance, piston ring clearance and other hard to reach places. 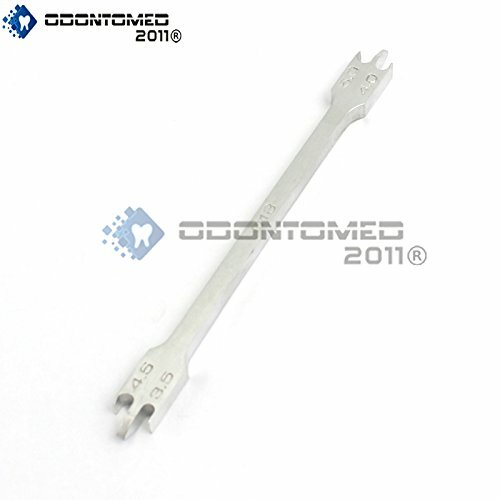 OdontoMed2011 PRODUCTS OFFER A HANDMADE TOUCH TO EACH INSTRUMENT. 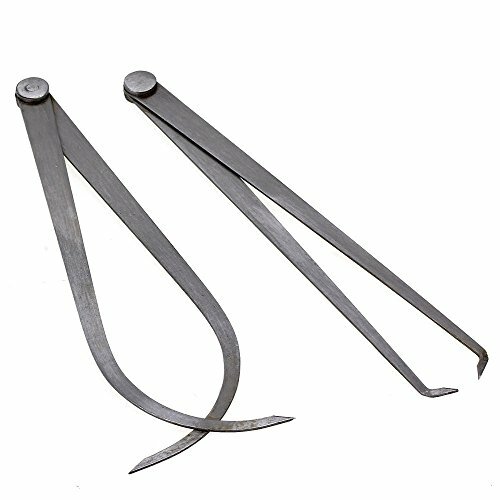 Measuring surface of the outer calipers clamp foot against a ruler measuring the face, the other face of potential clamp foot size taken engraved line, and connect the two measuring surface should be parallel to the ruler. When using caliper, which takes the same size methods and outer calipers, but in the end face of a foot ruler shall rely on a secondary plane, also against the inside of the caliper plane. 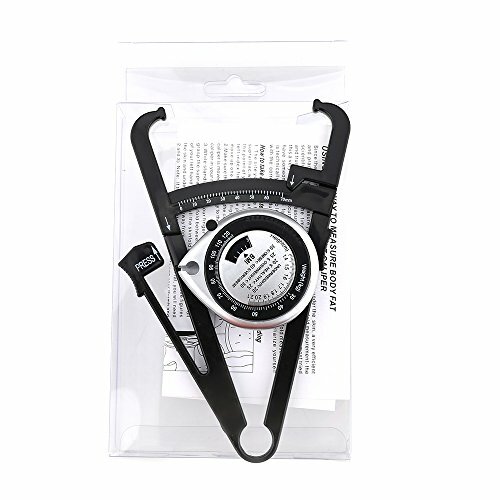 Caliper measurement of the outer circle with center distance, make two wire clamp foot measuring surface perpendicular to the axis of a circle, without force, over the outer circle of the cylindrical weight calipers, caliper size of the opening is then outside the cylinder diameter. Caliper measurement of hole diameter when to make the connection jaw foot vertical measuring surface and intersects the bore axis, when measured against the pore walls of a clamp foot, the other a bit more inside clamp feet from some of the gradual opening out test, and the swing in the circumferential direction of the cell wall, swing from the most hours of when, within the caliper opening size is the diameter of the hole. 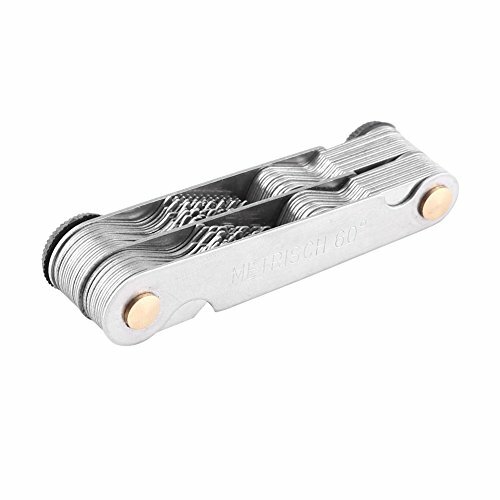 1.Made of high quality steel excellent Corrosion Resistance. 2.Widely used as high temperature resistance, corrosion-resistant materials. 3.Firm joint calipers use friction at the joint to hold the legs unmoving. 4.Outside calipers measure thicknesses and outside diameters of objects, inside calipers measure hole diameters and distances between surfaces. 1.Measurement is the suprailiac, approximately one inch above the right hip bone. 3.Press with the thumb where indicated on the Personal Body Fat Tester. Note where the sliding arrow points on the gauge. Repeat three times, and use the average as your body fat measurement. Refer to the body fat interpretation chart to determine your body fat percentage and what it means. Using the inner dial (height), align your height measurement to the outer weight measurement. Once aligned correctly, view the inner window for your BMI reading. Select the male or female side of the tape measure (see icons) making sure the correct side is facing outwards and then wrap the tape around the widest part of your stomach. This will give you a visual indication of whether exercise is required. This excellent BMI anatomical tape measure is excellent for professional and personal use Body fat caliper measurement range is 0 to 70 mm; Body tape measure is 150 cm. And it starts from 0. This tape is to measure, monitor and assess changes to your body, including waist circumference and waist-to-hip ratio. Then use the calculator function to quickly determine BMI and obesity risk.one-handed use and push the button in the back for retraction easily. 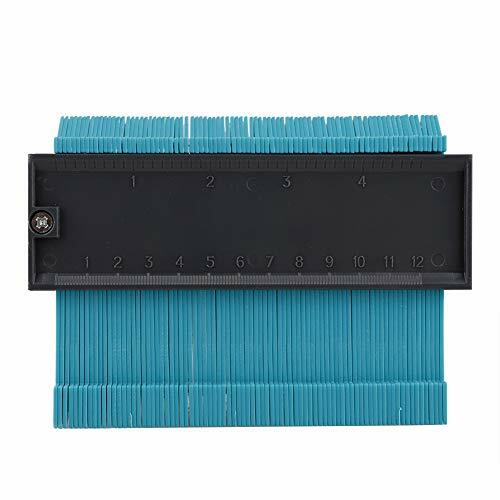 Features: Made of high quality ABS plastic, high strength, durable, anti-rust The profile gauge size is 5 inches. Easy to use. Simply press the tooth against the object to match the contour and then track the shape you need. Designed for winding pipes, circular frames, ducts and many objects. Instant template for marking precise tile cuts. Color: Blue. Package includes: 1 Gauge Notes: 1. Due to the different monitor and light effect, the actual color of the item might be slightly different from the color showed on the pictures. Thank you! 2. Please allow 1-3cm measuring deviation due to manual measurement. Made of high quality ABS plastic, high strength, durable, anti-rust. The profile gauge size is 5 inches.